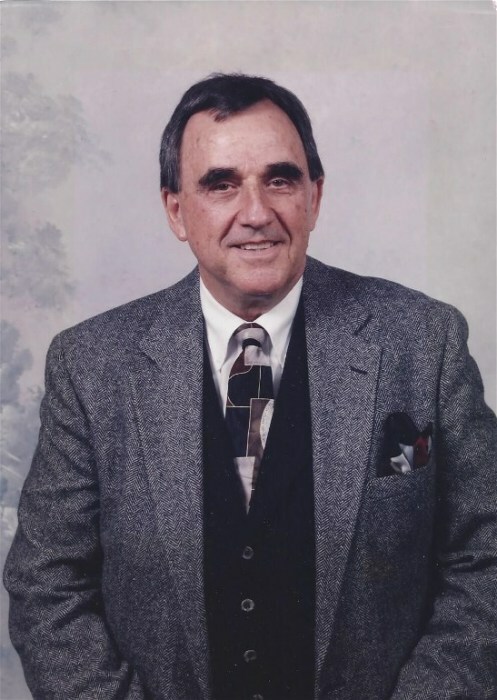 Bailey - Billy Earl Blackmon, 85, Husband, Father and Brother went home to be with his Lord and Savior Jesus Christ Saturday morning, March 23, 2019. He was the third of four children born to the late R.H. and Annie Blackmon of Four Oaks, NC. Throughout his school years he helped the family farm. He also loved to play baseball and did so until he graduated from Four Oaks High School in 1951. After high school he was drafted into the Army where he served two years active and six years in the reserve. After the Army, He went to work for Automatic Electric (now Verizon) where he worked until his retirement in 1987. He met the love of his life Sally Lee Jarman of Kinston, NC in 1959 and soon married in April 1960, a marriage that lasted 56 years until Sally's passing. Their only son, Brett was born in 1961. With AE, Billy, Sally and Brett had the privilege of traveling and living in many states, but their heart and home was always North Carolina. Billy and Sally returned to North Carolina in the eighties where they spent 26 years residing in Four Oaks, NC. During this time Billy opened his own telecommunication company PGF technical services doing wiring installations of cell phone towers. After fully retiring he and Sally went to live with their son and daughter-in-law in Bailey, NC and lived there until their passing. Aside from his family, his greatest treasure was his relationship with Jesus Christ that began in 1987. After his conversion, if you ever encountered him, he made sure you knew "it's all about Jesus". He loved Jesus and would discuss Him when given an opportunity. Billy was all about love and sharing his faith in Jesus. He didn't have grandchildren but treated his nieces and nephews as they were his own, he was a father to many. He was a generous man and had a smile that would light up a room. He was and is an extraordinary man. He will be greatly missed! Visitation will be from 5:30 to 7 with the funeral starting at 7pm.